Did anyone else used to get terrified of the word "peel", or is that just me? I have to say, I've actually learned to love the word as I've more consistently been using products with the word "peel" in the name and having had a couple of in office peels at both a spa and a dermatology clinic. 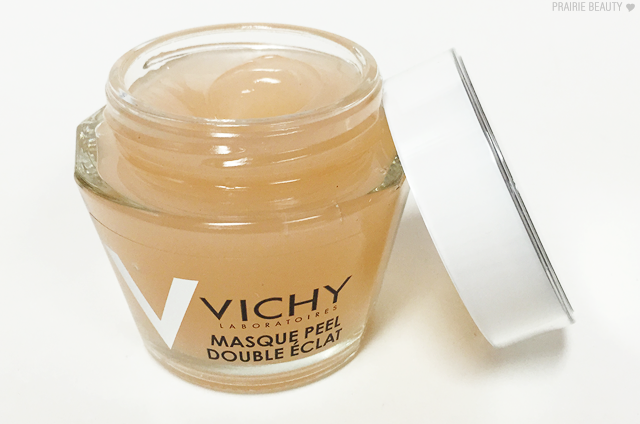 Peels are GREAT things, in my opinion, which made me really excited to try out the VICHY Double Glow Peel Mask*, one of their 3 new masks. 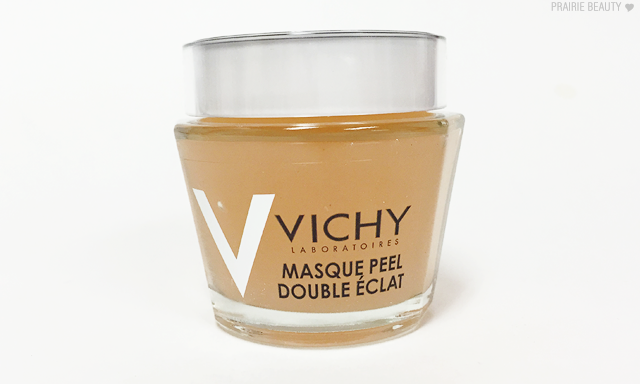 You may remember my review of the VICHY Pore Purifying Clay Mask* and how much I was obsessed with it, and I think that obsession might have overshadowed this one a bit. That said, let's finally talk about it, shall we??? Mineralizing Thermal Water strengthens for stronger, healthier-looking skin. 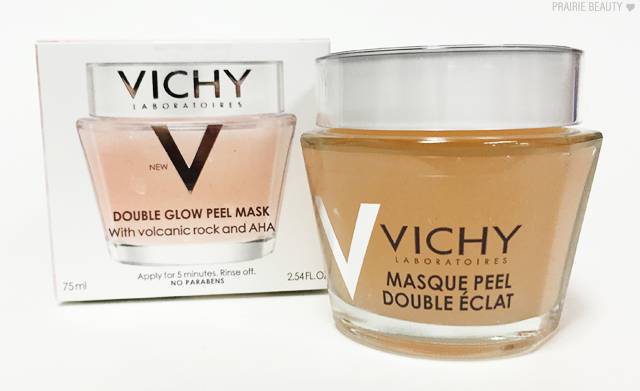 Volcanic stone gently exfoliates. AHA gently peels off dead skin cells. Vitamin C brightens skin tone. The first time I tried this, I'll admit that I wasn't immediately sold. However, after using this a few more times my opinion has completely changed. The way that I like to use this is to apply it with a paddle brush, as I do with pretty much any mask I use but particularly those in pots, in an even layer over the skin. I don't like to go too thin with it, but not too thick or goopy either. I leave it on for the suggested 5 minutes and then remove it with a face cloth. I start with circular motions to really get in there and slough off the skin and then go in with warm water to really do a thorough rinse of the face and make sure I've gotten it all off. It can be a little bit sticky, which is why I like to start with the washcloth and really get in there and lift everything off the skin. The results with this mask are really beautiful. Immediately after, I find that my skin is a little bit pink afterwards but I don't find that I have any irritation or sensitivity like I do after I have a professional peel. This is definitely gentle enough to use at home, but effective at the same time, but I definitely recommend using it at night. In the morning, I wake up with skin that looks visibly smoother and feels really silky to the touch, and any pink that was left in the skin is completely faded. 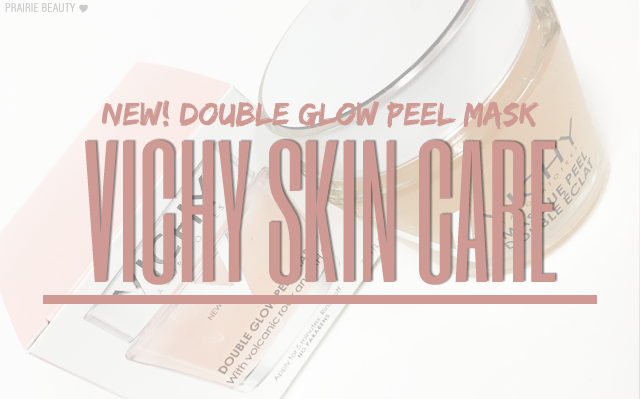 Overall, I would really widely recommend this mask for both people who are new to peels and looking for something to dip their toe in with at home as well as people who are really into peels and want a product they can do at home that is gentle and effective. This mask gets a big thumbs up from me!